I've made it to week three of four for Beautometry's Next Top Swatcher competition. For those of you who voted for me in past weeks, thank you! This week's theme was 'purple' and you know I love purple polish. 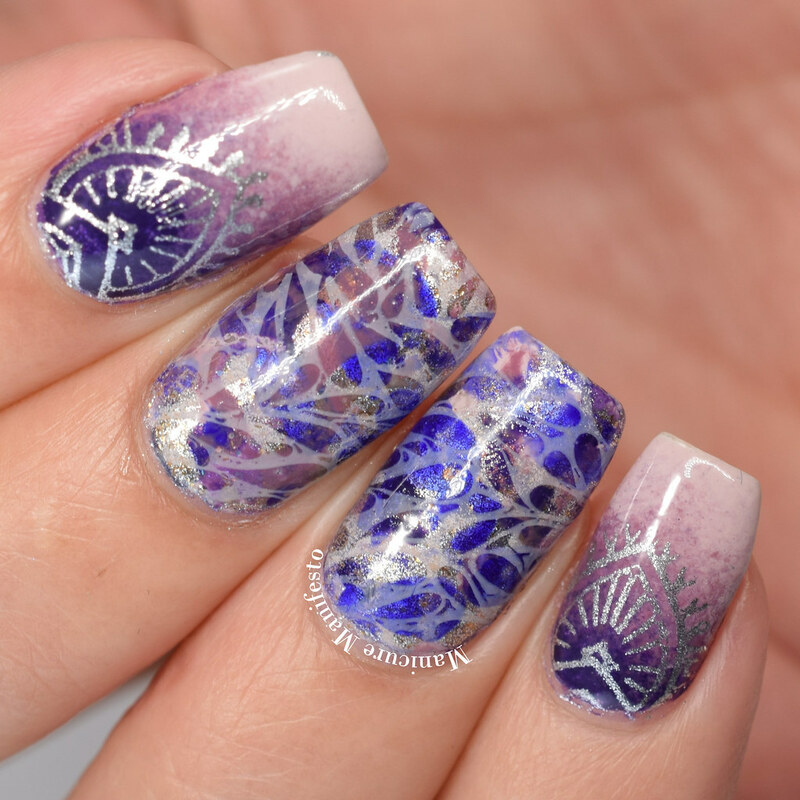 I couldn't quite decide which nail art technique to focus on so I mixed a little stamper marbling, some gradients and some stamping to come up with this look. 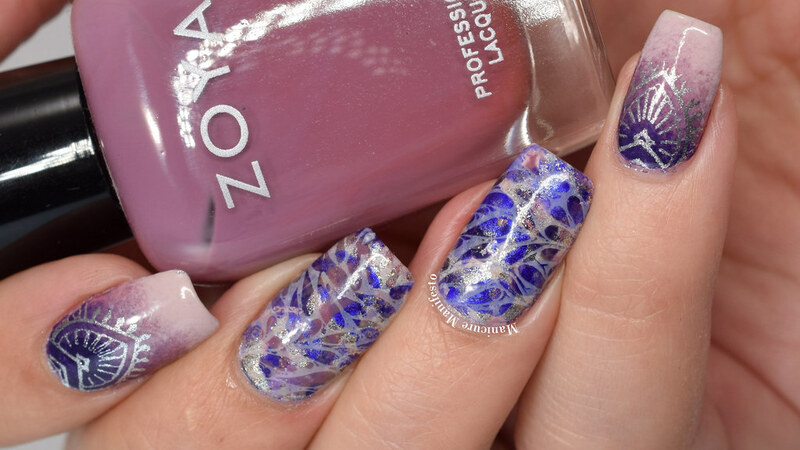 For the gradient nails I used Trust Fund Beauty No Filter, Zoya Odette, and Zoya Pinta for the gradient. 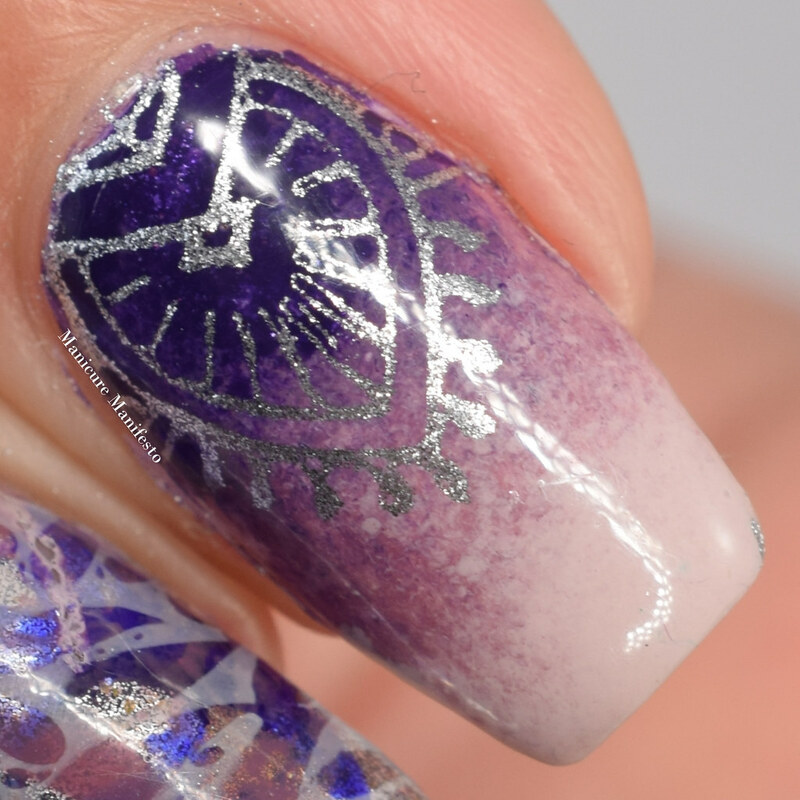 The stamped design on top was done using Color Club What a Drag and MoYou London Explorer plate 03. For the marbled nails I started by doing a stamper marble using Trust Fund Beauty No Filter, Zoya Odette, Zoya Pinta, Femme Fatale Cosmetics My Jabber-Baby-Wocky? !, Femme Fatale Cosmetics Renounced Crown, China Glaze Gossip Over Gimlets, Color Club Meteor-Right and Orly On The Edge. 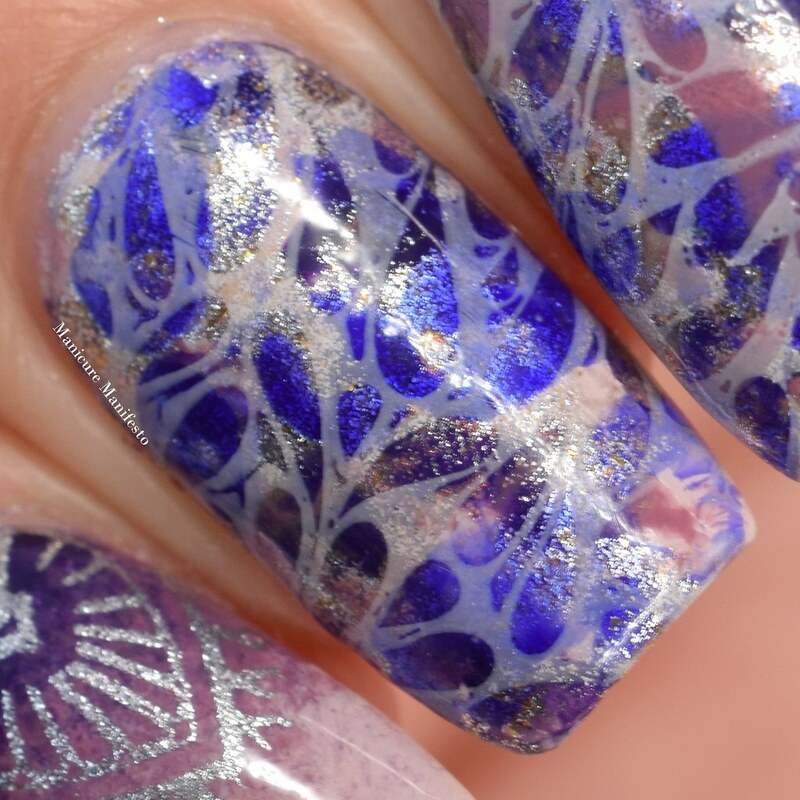 Then I used Trust Fund Beauty No Filter and Messy Mansion plate MM29 to add the droplet design over top. Finally, I sealed everything up with a coat of Girly Bits Cosmetics Glitter Glaze. Photos were taken in daylight spectrum lighting. As with previous weeks, votes are the deciding factor in who makes it to the next round. I would really appreciate it if you could take a second to head over to Beautometry's Instagram and Facebook to vote for you favorite purple designs. Next week is the final round and I'm crossing my fingers that I make it through.